It’s That Time of Year: Squirrels Attacking Pumpkins! He Strikes Again…, originally uploaded by He chose…poorly. 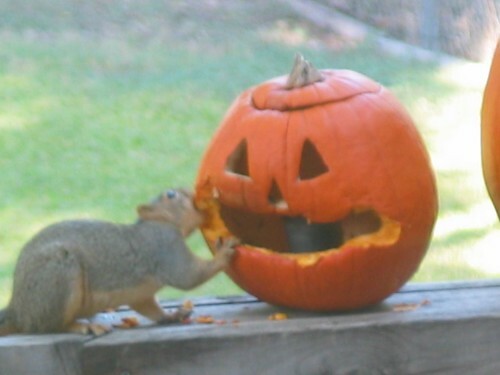 I guess someone knows what to paint on a pumpkin that a squirrel can’t resist eating. But very cute. I wish my squirrel daddy hadn’t died so we could have tied that.